Posted By Carlos On February 13th 2017. 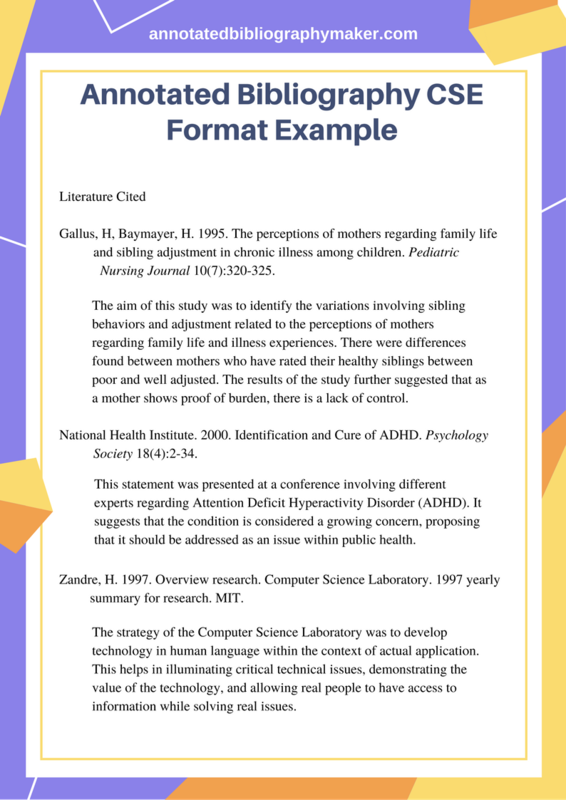 Under Annotated Bibliography Tips Tags: cse citation example, cse citation format, cse format example, example of cse citation . Our Council of Science Editors or CSE format example and guide will help you to ensure that your writing is done to the standards expected of you. Anything less than perfection with your annotated bibliography formatting could see your work is simply rejected. An annotated bibliography is more often than not one of the last sections of your paper, although it can also be created as a standalone task if you have been asked to research a specific topic area. 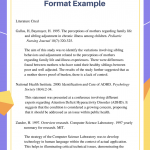 It is a comprehensive list of all of the sources that you referred to within the research that you have done along with an evaluation and summary of that source which forms the annotation. This will allow readers of your research to understand what has influenced your own writing and research and in what way. 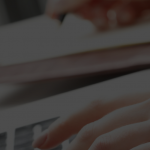 Annotated bibliography creator provides great discounts on all services! But writing an annotated bibliography is not that simple. Of course, you can use some annotated bibliography maker, but each institution and subject area has very distinct requirements for writing and formatting and these must be followed exactly if your work is to be accepted. The Council of Science Editors (CSE) style is one such style that you may be asked to use for your writing. 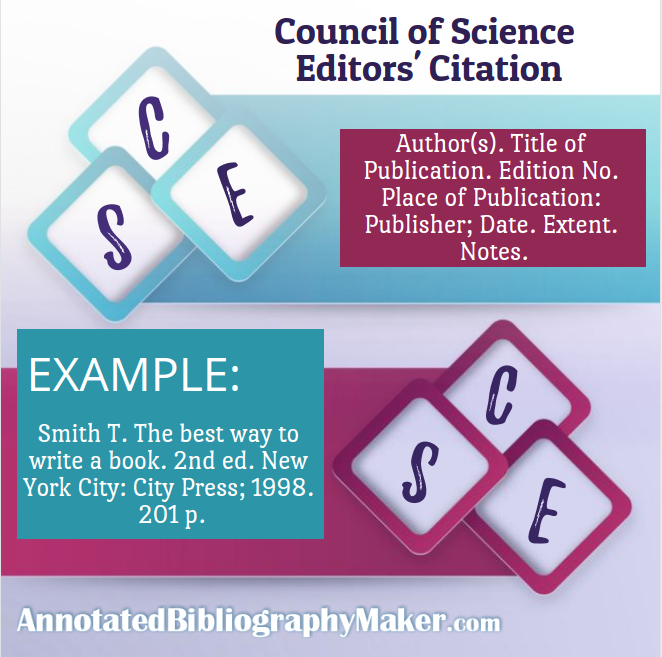 Council of Science Editors format differs from many other styles in that it has no comma between the authors last and first names and it also requires you to include the number of pages within a book within the reference citation. It offers two main styles of citation; name – year, and citation – sequence. Ensure that you use the style that your supervisor expects you to use and always use it consistently throughout your work. Click here and see flawless Chicago style annotated bibliography example! A CSE citation example is often the very best way to understand just how your own should be laid out within your text as well as within the bibliography at the end of your writing. You will also need to ensure that you go about gathering your information in the right way before you start. Before you start your research clarify the exact requirements that you should collect for your references such as author name, publication name, date, number of pages, etc. Make sure that you have a clear thesis or research question to guide your review of literature and to provide you with focus. Use reliable and varied sources for your research. Make good use of your library for published literature, research papers and journals. If you do use websites try to use educational or government based ones which can be better trusted for information. What is the authority of the author and the source used? Who was the writing specifically aimed at? Are there any obvious biases in the writing? Do you see any flaws within what has been found? How does it compare to other works that you have reviewed? How is it relevant to your own research? Write your annotation as soon as possible after you have researched the source while the information is still fresh in your mind, you can always revise it later if you need to change anything as you review other works. Proofread the writing very careful. The content of your annotations must be perfect and error free just the same as the rest of your paper. Author(s). Title of Publication. Edition No. Place of Publication: Publisher; Date. Extent. Notes. Smith T. The best way to write a book. 2nd ed. New York City: City Press; 1998. 201 p.
Author(s). Article title. Journal title. Date; Volume(issue):page numbers. Jones W. Writing for Profit. Wrt J. 2012;10(2):50-55. Should you need help with getting your bibliography correct and you additional help to our CSE format example just contact our specialists here today for support that you can trust!